As a shoe-a-holic and boot-a-Holic shopping for shoes and boots is a pleasure. 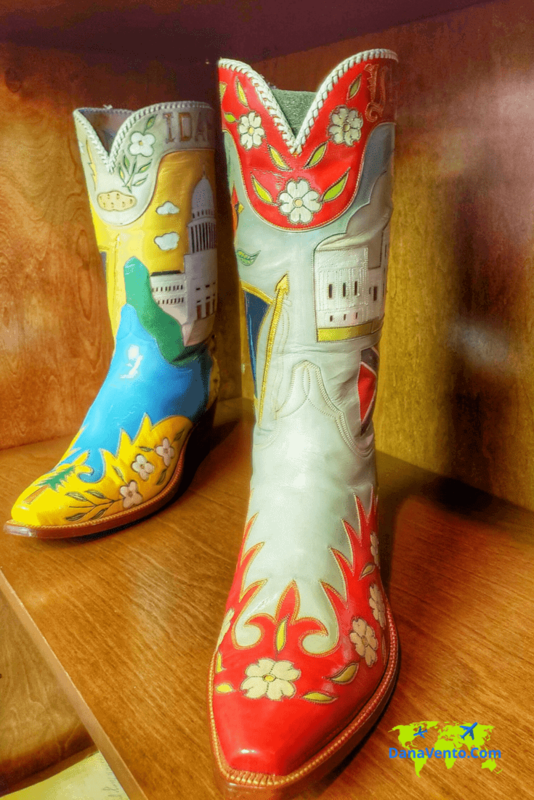 Finding out that El Paso is the boot capital of the world pretty much made my day. There are these little factoids when you get off the plane that catches your eye as walk out of the plane to the gate! One of these factoids lets you know that El Paso is the only city in Texas with mountains. Yet another share that Margaritas were first founded in El Paso! Any questions why I am so in love with El Paso so far? I mean mountains to look at while you sip Margaritas and then, of course, there are boots! Wow does El Paso get me! 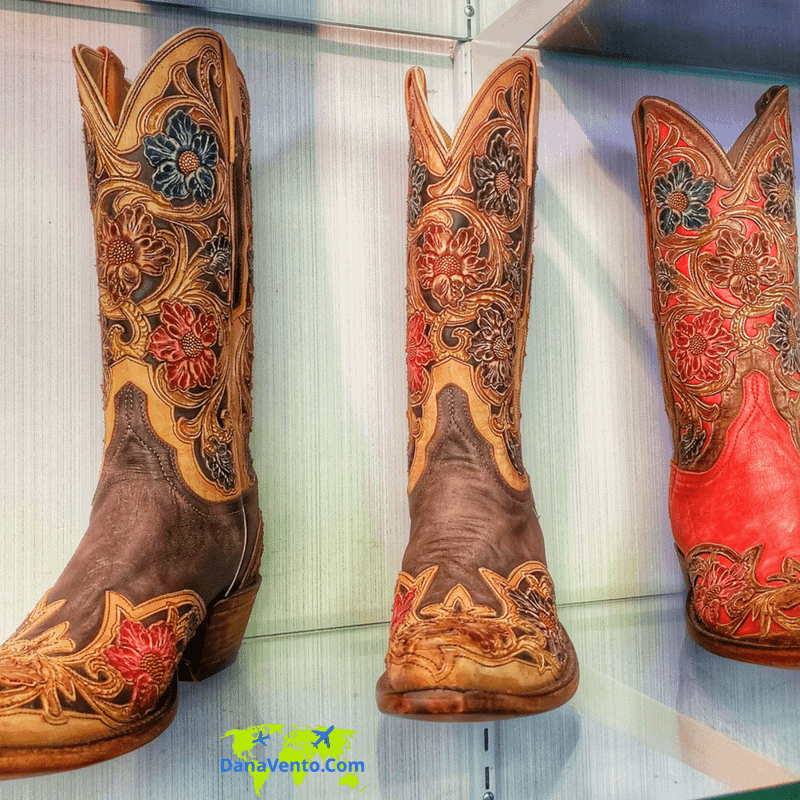 Did you know El Paso Texas has more boot manufacturers in its city than anywhere else? It’s true! I was about to enter the heaven of all moments: a boot making factory, to see boots from the skin to the heels and ready to sell appear. Let’s mosey and learn from a company that has been making boots since the war! Lavishly live travel out loud and learn how to get the true El Paso Boot experience. 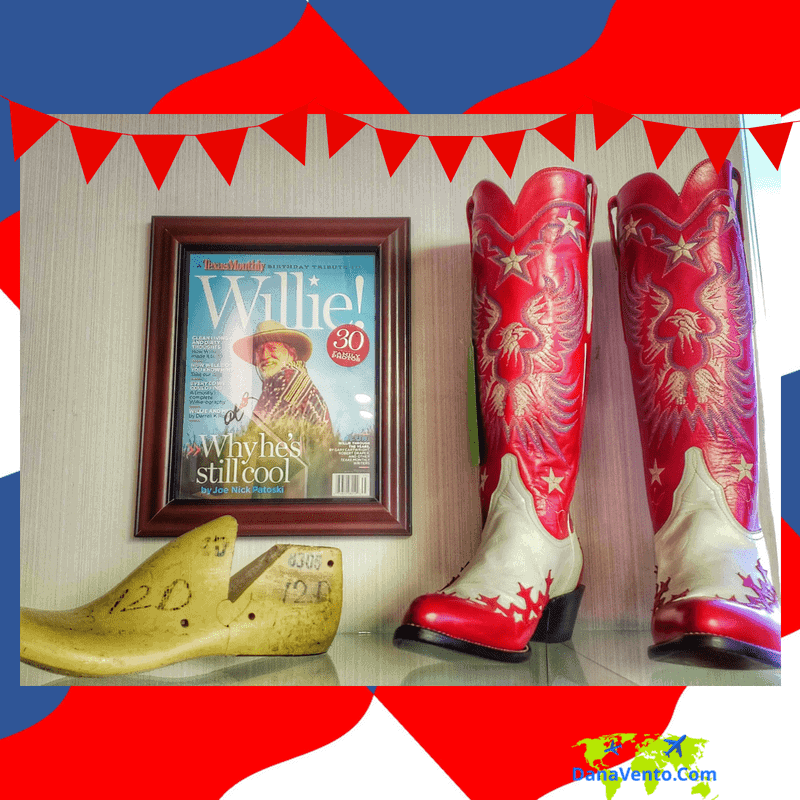 I was a guest of Visit El Paso and they totally guessed me as a boot-lovin’ gal! 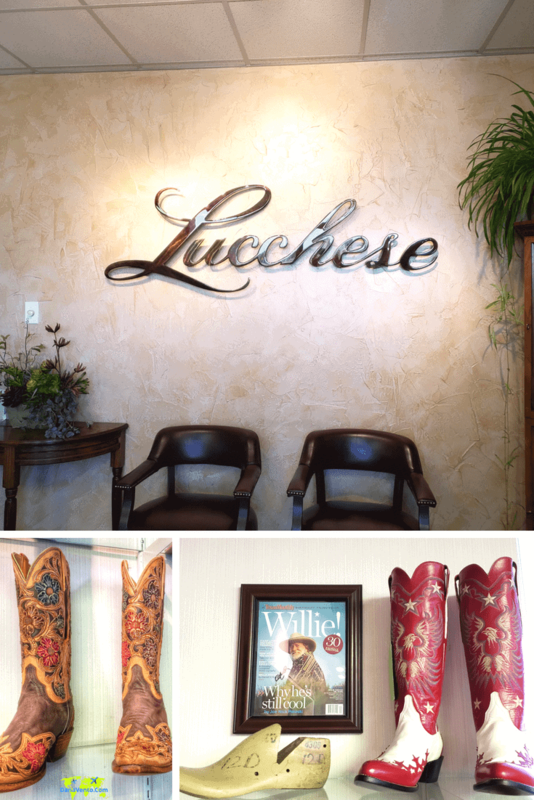 My images and content are based on my experience and time at Lucchese Boot Factory. Let me tell you, it’s a craft, a tradition and true artisanship that goes into every pair of boots! Want to know what this means? It means that of all my shopping fantasies, I was put in the factory where it all starts. Of course you know I had to go shopping after this. Truly this was like a dream come true, boots and shopping all in one day! Yeehaw! #Blessed. If you think this room is cool, we have only just begun. Inside of here is informational and historical factology that I simply craved. Kind of like a who’s who and who bought what from Lucchese. It’s an impressive brand with impressive clients. Just wait, you will see more! 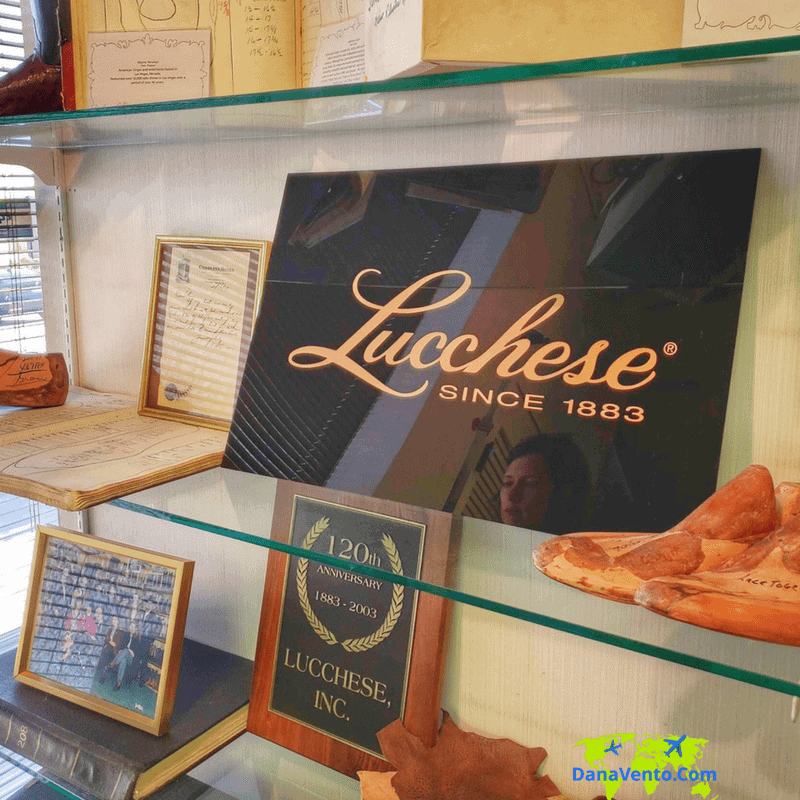 Our stop was the one and only Lucchese boot factory. A boot making institutions from wartime (1883) for soldiers in the field to present. I am in boot heaven, learning, listening and just cannot stop taking photos of my obsession… boots! The information and backstory of the company is pretty darn incredible. Who they have produced boots for and why, etc. I mean we are talking wartime boots, Presidential Boots, Country Music Stars, and huge box office actors. I love this. Lucchese boots have made boots for the army, and our presidents including, LBJ and get this…George W Bush boots and Country Star Willie Nelson! I told you it is incredible, you never know what story a pair of boots has behind it until you walk into this room. The colors of the boots are also rich and vibrant. Boots here are not just boots, they are a way of life, a passion and a way someone defines their personality. I am so down with that. Its as though they totally understand people want to be who they are when they are in their boots and colors and design are an extensionof that! LOVE this! Everywhere I turn there are boots and one pair is cooler than the next. The designs, the textures, I believe I need more outfits if I am going to be here, I want to try them all on. I can’t but I am dying to! While touring I was lucky enough to see how this is done. Truly stitch by stitch and handmade. 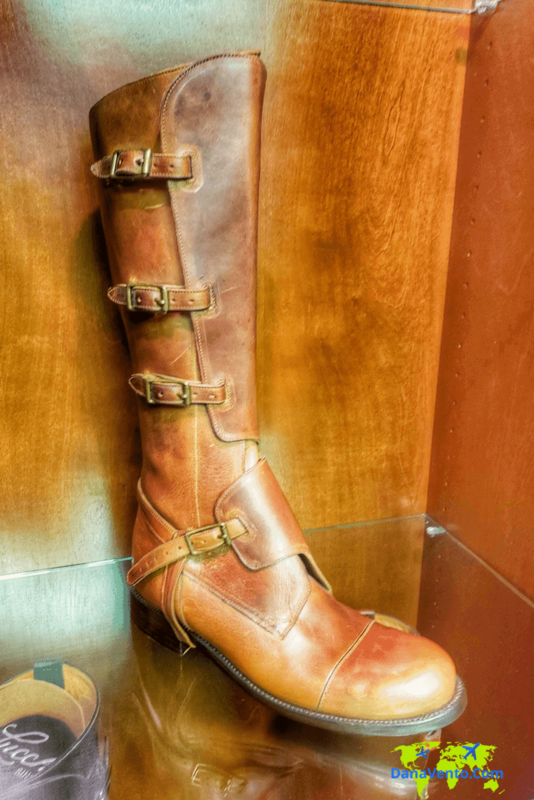 The boots are crafted pair by pair with real people putting them togehter. It is not a production line and that is WHY these boots look so perfect and wear so nice. The end result is geniune. (ex) President Bush wore these to his inauguration, it’s the small things people and look at this quality! I am in love with the boot because it is shiny and so well-crafted. You can see the artisanship just popping at every angle, it’s a craft and a passion, not just a bi-product! You will see it in the video so watch! What I can tell you is that I took this little clip of a video as we were touring. These skins were so gross to me, but look, real animal skins, and that is as authentic as it gets! Crafting is a Skill. Maybe more fascinating than who has worn these is the artisan style handcrafting that goes into each pair. From Station to Station! Employees are not paid by the piece rather a salary so craftsmanship is not lost or forsaken for quantity over quality. Are these insanely awesome? You know what I want to do? 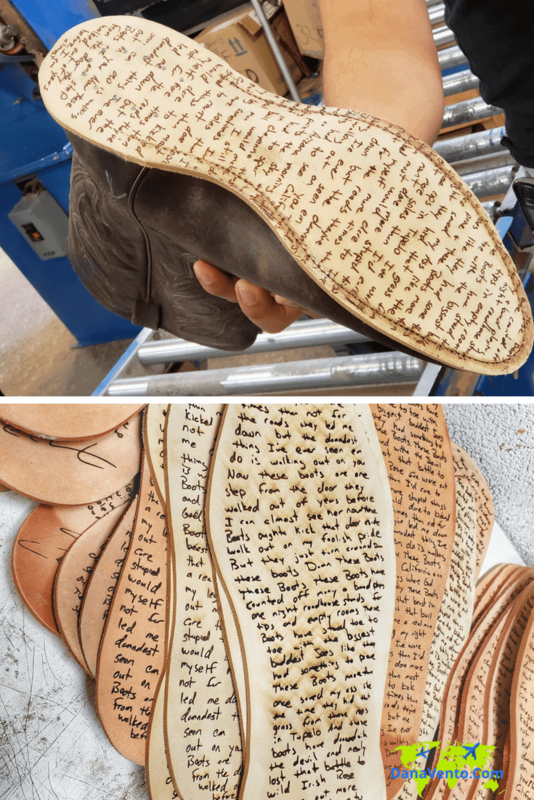 I want to write ‘Lavishly living life out loud’, ‘travel, food, fashion, amazing places, why everything matters’, ‘Dana Vento’ all over these soles, I so have this on my bucket list and then I will pick a pair of boots to finish them on! Just DANA STYLE! Ok, so I am dreaming but these give me inspiration! It all starts with a skin alligator, turtle, ostrich, gator, python, etc. Look at these skins hanging above, just in case that video did not have enough in it for you! 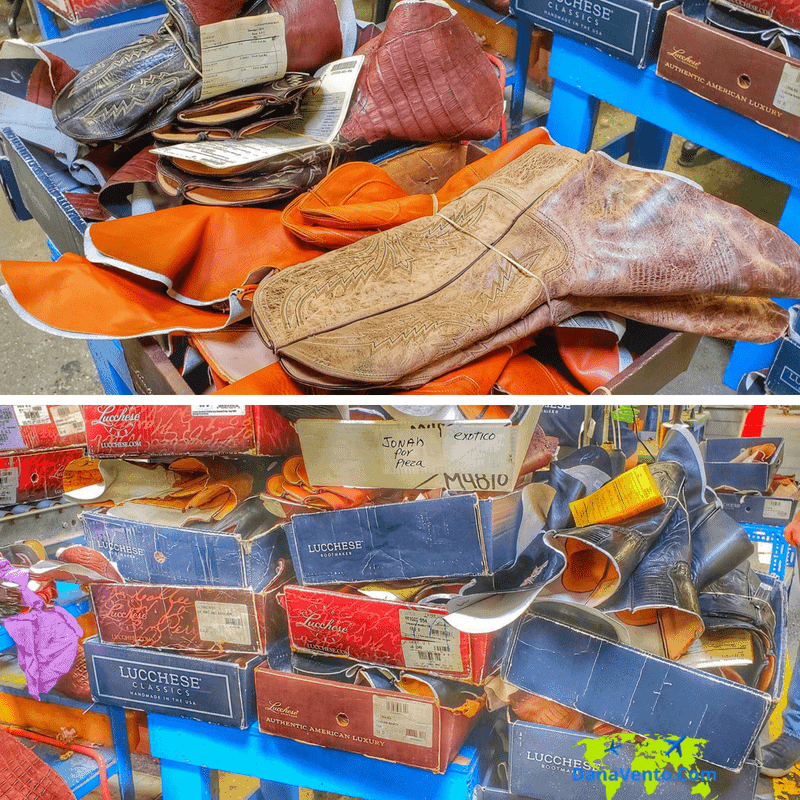 Lucchese uses skins leathers that offer color on both sides. 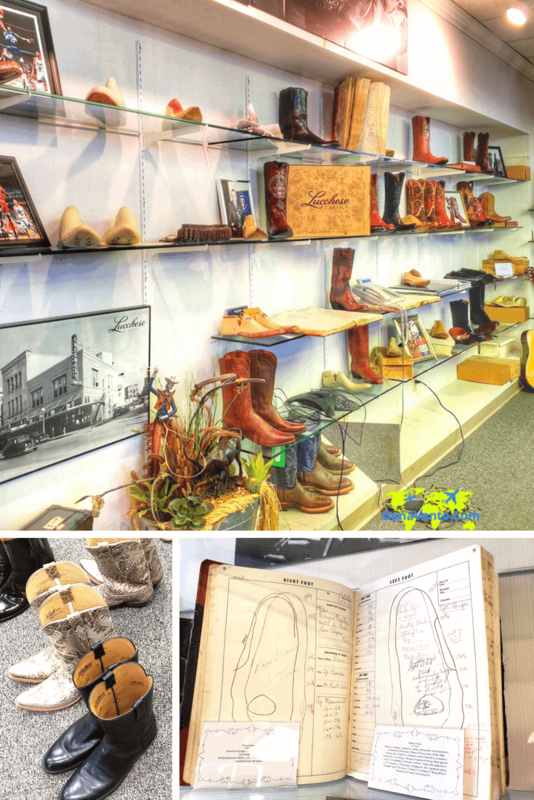 Here are tidbits of how your boots come together. What an experience, now can someone loan me a U-Haul to load up the boots, please? (just kidding but you have to really have willpower here!!) LOL! Do you not just want to grab these? I was like, “so many boots, so little time, hurry finish, I want a pair of each!” But honestly, the colors, the different styles, the different heels, toes and the material it is just all more justification that I need more BOOTS! While it may not matter to many that just are looking for the best of the best in boots, you should know you are in good company. From the Dallas Cowboy cheerleaders to Andre the Giant, Arnold Schwarzenegger, Willie Nelson and hundreds of other high-profile celebs bump around in these awesome Texan styles boots! Now my ‘Wannabe Celeb Moment’ made possible by President of Lucchese Boots, Doug Kindy! He just happened to be out on the factory floor and I just happened to do my Photo thing. Then, I wandered into the exterior hallway and loved myself for this! (remember I do keep quite the sense of humor about myself…) Oh YEAH!!!!! Shopping – Oh If You Force Me — Are Ya Kidding Me? Do you see all the boots behind Stacy the store manager? Oh get her involved in your shopping, she has tricks to getting boots on that I did not even consider. I had a blast with her. 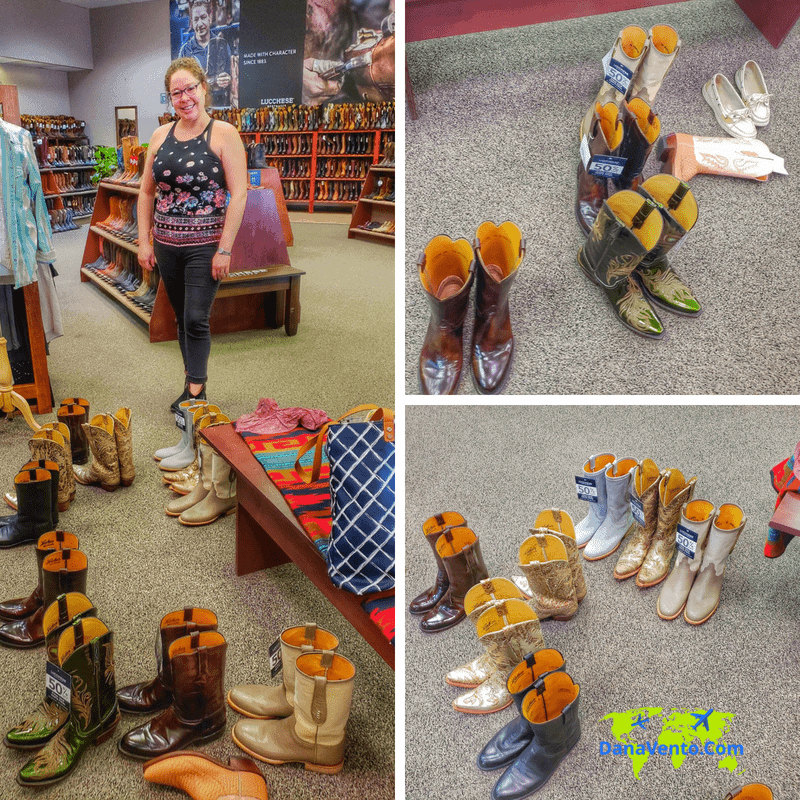 We lined up a ton of boots, she brought different sizes and then….. Yeah I bought 3 pairs. The design and detail on some of those boots are gorgeous. I would be afraid to wear them to mess them up! Old cars lasts longer but really gets expensive on gas mileage and parts to replace. Having a car gives you more responsibility that you should really attend to every time. Being able to take care of your car in the right way makes it lasts longer than what is intended. Thank you so much for your shear! Gosh! Very nice;) I wish I know someone in my family who would love this kind of boots so I can surprise them with one. I know it won’t look good on me haha but I’m really liking it. Oh wow, there is huge selection of beautiful shoes there! I bet you had some wonderful time exploring. These are not my style but it’s always interesting to learn about new things and products. If I could use this as my own personal shoe closet…. Wow!! I love this post. I like the detail put into making boots!! I love watching craftsmen while they work and would probably spend hours in a factory like this watching every step of the boot making process. I haven’t worn boots since I got rheumatoid arthritis 12 yrs ago because I haven’t found one that is comfortable enough and provides adequate arch support. It must have been so difficult to choose what you wanted to buy when every pair is so cool! Love these boots!!! I guess I didn’t grow up in the western culture enough to know the importance and the fans behind boots. They offer so many various colors/patterns/designs when I only knew about standard blacks and browns! It looks like you had a great time exploring the boot experience. They look awesome if not a bit too pricey for me but I can see why they are on the expensive side when you are getting something so authentic!